A special edition of the world’s most popular board game will be launching in September. This Brussels version of Monopoly will feature local street names, venues and squares and the game will be made in French, Dutch and English. 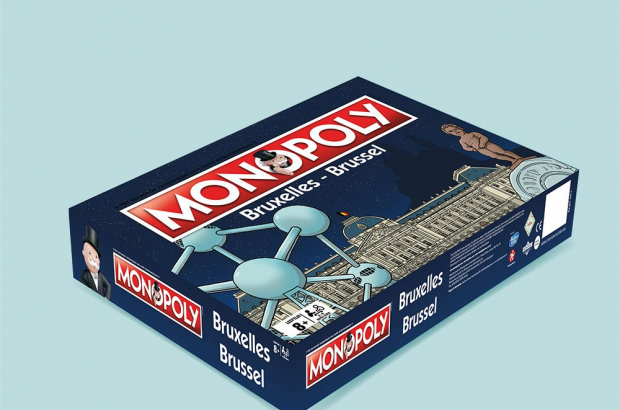 “Brussels is the capital of Europe, so you have such a mix of people here,” Pieter De Wulf, organiser for Monopoly Brussels, told The Bulletin. He said the game captured the essence of Brussels, with both historic landmarks and new buildings accounted for on the board. One location is still up for debate, however. The last location is being decided by Brussels residents themselves. There are 18 different choices, one for each municipality of Brussels, besides the City of Brussels itself. Voting runs until Sunday at midnight. “It’s good for the tourists, it’s good for the expats,” De Wulf says, stating that although there are some well-known places on the board, not all of them are the most familiar locations. He hopes that seeing the places on the board will motivate people to seek out these places and get to know Brussels better. “It’s another way to guide you in the city,” says De Wulf. You can vote and pre-order your very own Brussels edition of Monopoly at http://www.monopolybrussels.be. The website only allows French and Dutch, understanable in Brussels, but pushes you into Facebook. There may be many like me who will not touch Facebook so they have been deprived of one order. @Jackie, you can order it from that site without Facebook, which I also never use, I wouldn't bother pre-ordering it though, as it'll doubtless be available cheaper from Amazon and BOL. Not having the website in English is amateurish and hypocritical, seriously. Plus just plain dumb. Paradox, all of your comments are extremely negative. Why?